Wisconsin is located in the Midwest along Lake Michigan and Lake Superior. 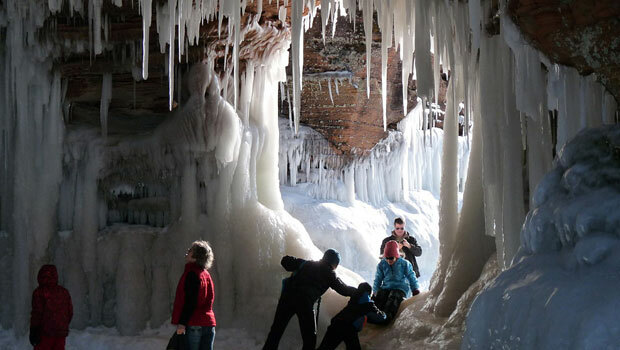 Winters are cold and often snowy in “the Badger State," especially in the northern part of the state, but outdoor activities remain popular during all months of the year. Madison is the state capital while Milwaukee is the largest city in Wisconsin, and there are many arts and cultural attractions in both major cities. Wisconsin is also known for its dairy production, and international participants should be prepared to see cheese-shaped hats at major sporting events like football games! To learn more about Wisconsin, go to travelwisconsin.com. The Pabst Mansion in Milwaukee. Photo by Richie Diesterheft. Aztalan State Park is an important archaeological site and a National Historic Landmark in Wisconsin. Aztalan was once home to a Native American village from A.D. 1000 to 1300 and visitors can now see reconstructed pyramid mounds that were used in political and religious ceremonies. An Aztalan Museum is also located nearby. Taliesin is the Wisconsin home and estate of famous architect and Wisconsin native Frank Lloyd Wright. Visitors can now tour the house and estate from May to October to learn about Taliesin and Frank Lloyd Wright. Visit the Wright in Wisconsin website for further information on Wright sites in the state. The Wisconsin Historical Museum in Madison provides information on many parts of Wisconsin’s history, including Native Americans, frontier life and immigration. Tours and special events are also available at the museum. Olbrich Botanical Gardens are an outdoor garden and conservatory covering 16 acres of land in Madison, WI. Educational programs, special events and tours are available throughout the year. Historic Milwaukee Inc. Tours introduce visitors to different parts of Milwaukee with walking, biking, bus and boat tours. Participants can also browse the list of Tour Companies in Wisconsin below. The Milwaukee Public Museum is a natural history museum with exhibits about geology, U.S. and Milwaukee history, anthropology, photography, astronomy and other topics. 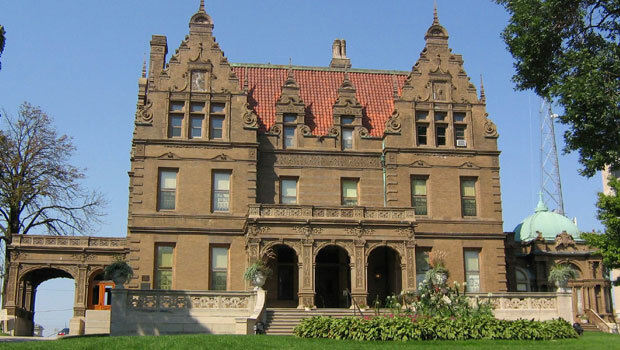 The Pabst Mansion in Milwaukee is the former home of brewery founder Captain Frederick Pabst. The mansion is now a house museum and on the National Register of Historic Places. Visitors can see the restored rooms of the house, decorative artwork, a fine arts collection and other items on a group or self-guided tour. Wisconsin Dells is known as the Water Park Capital of the World thanks to its many indoor and outdoor water parks! Visitors can also enjoy go-karts, amusement parks, bowling and other fun family activities and tourist attractions. Learn about 19th century history and the life of H.H. Bennett, a famous photographer known for his pioneering landscape photos, at the H.H. Bennett Studio & History Center. See where the Ringling Brothers started their famous circus at Circus World, a family attraction featuring exhibits, fun activities, memorabilia, and live entertainment like circus acts and magic shows. University of Wisconsin Badgers. Photo by Phil Roeder. 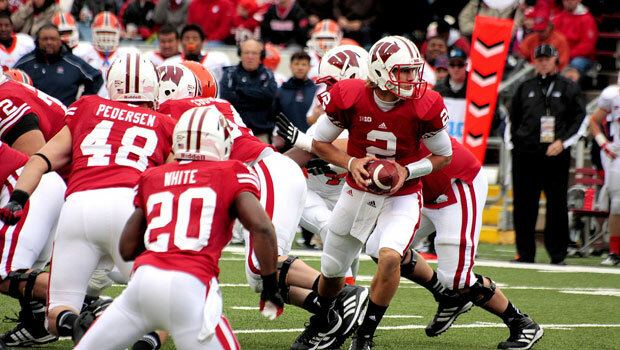 See a full list of Wisconsin college sports teams. Minor league and amateur sports teams can be a great way for international participants to watch popular American sports without paying high prices to see a professional sports team. Apostle Island Sea Cave. Photo by Jeff the quiet. Apostle Islands National Seashore is a coastal park on the tip of the Bayfield Peninsula and on 21 islands in Lake Superior. Island tours, camping, boating, kayaking, fishing, scuba diving and hiking are available in the area. Information on traveling to the mainland site and the islands is available from the National Park Service. Bay Beach Wildlife Sanctuary in Green Bay is an urban wildlife refuge with live animals, exhibits and hiking and skiing trails. Bear Paw Outdoor Adventure Resort in northern Wisconsin has outdoor activities throughout the year, including whitewater rafting, kayaking, canoeing, camping, mountain biking, cross-country skiing and snowshoeing. Devil’s Lake State Park is the most visited state park in Wisconsin thanks to its 360-acre lake and recreational opportunities like hiking, biking, rock climbing, camping, snowshoeing and fishing. Peninsula State Park is a popular park in Fish Creek, WI with activities like camping, golfing, biking, beach activities and summer theater performances. Chilly winters mean snow-related outdoor activities are a popular pastime in the Badger State. Wisconsin is home to 30 skiing and snowboarding resorts, over 700 miles of cross-country skiing trails and many places to try snowshoeing. International visitors may also want to try ice skating, snow tubing or dogsledding. Wildman Adventure Resort offers several outdoor activities for international visitors in northeastern Wisconsin, including whitewater rafting, kayaking, UTV tours, rock climbing, paintball, snowmobiling and zipline tours. Cabins and camping are also available in the area. Wisconsin may be best known for its cheese, but there is more to the state’s cuisine than dairy products. Food in Wisconsin is largely influenced by its cultural heritage, which includes immigrant groups from England, Germany, Norway, Poland, Greece, Italy, Ireland and other European countries. More recently, immigrants from East Asia (especially Hmong refuges), the Caribbean and Latin America have added to the cultural heritage of Wisconsin. Today, visitors will find Wisconsin specialties and local produce like bratwurst, morels, a fish fry and frozen custard alongside ethnic restaurants throughout the state. Visit the Wisconsin Farmers’ Markets Association to search for local farmers' markets and to learn more about local foods in Wisconsin. International Festival at the Overture Center for the Arts in Madison is multicultural event with food, music, arts and crafts, and performances from international artists in January. Winterfest on Broadway is a Green Bay event with activities like ice carving, dog pull competitions, chili cook-offs, hayrides and other family-friendly events in January. Arti Gras at Shopko Hall in Green Bay is a visual and performing arts festival that showcases the work of 100 artists over two days in March. The Wisconsin Film Festival in April showcases independent films, documentaries, animations, experimental films and short films. Workshops, lectures and other special events are also held during the Madison-based event. Summerfest is an 11-day music festival held in Henry Maier Festival Park each June and July. Polish Fest in Milwaukee is a celebration of Polish and Polish-American culture with events and activities like food, music, folk art and dancing. The Wisconsin State Fair is an annual summer event held in August featuring attractions, carnival rides, food, live music agricultural shows, cooking competitions and many other events at the Wisconsin State Fair Park near Milwaukee. Visit the American Public Transportation Association website for a complete list of public transportation options in your local community. Amtrak trains travel to stops in Wisconsin on the Hiawatha Service and Empire Builder. Find tickets, routes and schedules at the Amtrak website. The Cassville Ferry in southwestern Wisconsin connects Cassville to Turkey Creek, Iowa. Lake Express travels on Lake Michigan between Milwaukee and Muskegon. Madeline Island Ferry operated on Lake Superior in northern Wisconsin between Bayfield and LaPointe Harbor on Madeline Island. Merrimac Ferry is a free service that crosses the Wisconsin River in south-central Wisconsin. SS Badger is a Lake Michigan ferry service operating between Wisconsin and Michigan. Washington Island Ferry Line operates in northeast Michigan on Lake Michigan. Green Bay Metro operates 13 bus routes in the Green Bay region, including transportation to the popular Green Bay Packer games. Metro Transit provides public transportation services to the Madison area, including Middleton, Fitchburg, Verona and the town of Madison. The Milwaukee County Transit System (MCTS) operates over 50 bus routes in the Milwaukee area. For public transportation systems in other communities in Wisconsin, visit the American Public Transportation Association website. Find a local food bank in Wisconsin on the Feeding America website. Many food banks provide volunteer opportunities for a few hours a day or on-going volunteer positions for those interested. Volunteer with Habitat for Humanity and help build low-cost housing for families in need. Search for a local Wisconsin affiliate and sign up as a volunteer – no experience required! Volunteer Wisconsin is a statewide resource for both volunteers and organizations that are looking for help. Volunteers can use the website to search by interest, location and interest/issue. United Way of Greater Milwaukee website allows volunteers to search according to their needs (e.g. One-time, Large group, Long-term) or interests (e.g. Families, Children/Teens). Over 80 affiliates work with United Way and many volunteer opportunities are available.